New version 1.3.0 has been released. iPad version has a significant UI improvement. 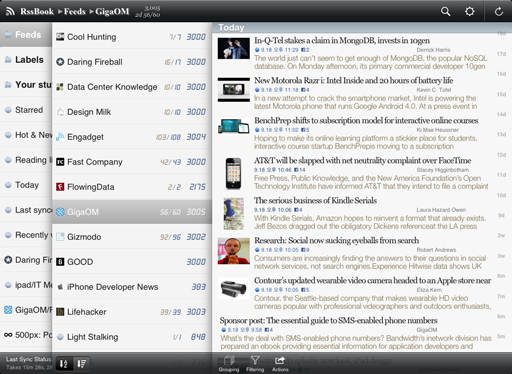 The new ‘Sliding Navigation Interface’ will bring intuitive navigation of folder path and article. The default article font has changed to ‘Helvetica Light’. From this version(1.3.0), only iOS 5.0 or later will be supported. Next version(1.3.1) will come shortly after with support for iPhone 5 large screen and iOS 6.